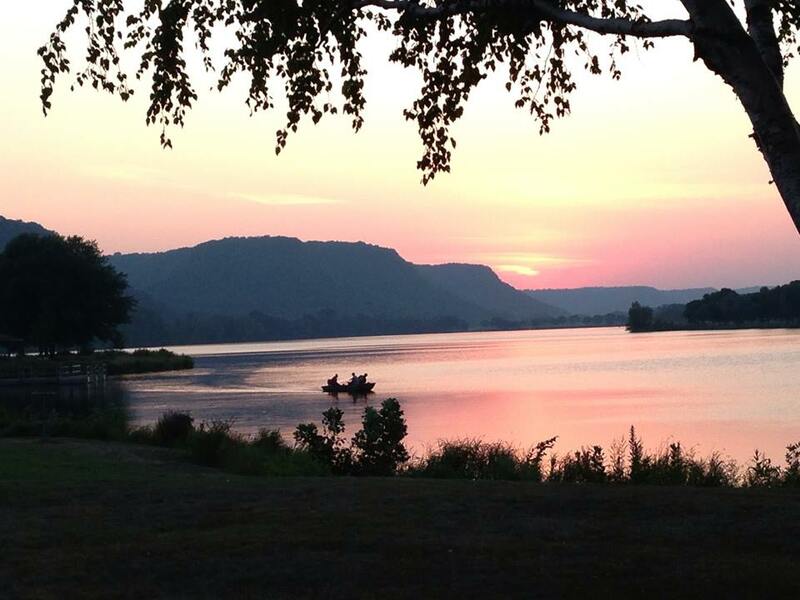 "Lake Winona" courtesy of Amanda Gillett. Used with permission. Winona, MN is a town of about 30,000 in the upper Mississippi River Valley. In this area, the river kept the glacier that flattened out most of the state at bay. The area is called a "coulee" because the river is lined on both sides with tall, beautiful bluffs where bald eagles fly and sometime nest among the many species of deciduous trees that are 4-season gorgeous. Rochester, MN, the home of the Mayo Clinic is less than an hour away and Wisconsin is just on the other side of the river, a distance of two miles. LaCrosse, Wisconsin is less than a half hour away and is itself, a beautiful (but much larger) town. Built on a sandbar that extends into the Mississippi, Winona is the only city where the Mississippi river runs west to east, rather than north to south. Because of the coulee, Winona is also protected from the harsher weather that folks who live on the Minnesota prairies or on the ridgeon the hilltop experience. Although winter weather here is at times harsh and summer can be hot and humid it's a small price to pay for the luxury of living here. If you think ice comes in white only, have a look at the area during winter. Ice floes cascade down the bluffs and display in every color of the rainbow as tall evergreens stand guard over bare birch, hickory, walnut, maple, oaks and many more stately trees. Every season is spectacular.In spring, the bluffs light up with every shade and tint of green you can imagine. Song birds return and the hills are alive again. Summer is time to take advantage of the waterways. Because of Winona's dedication to the environment, the river and its backwaters, as well as area lakes, abound with fisher men (and women), water sports enthusiasts, and swimmers. Spring is also the time to stand at river's edge and watch in wonder as small riverboats push huge barges up and down the river… and of course to see the grandeur of the large riverboats like the Mississippi Queen and the American Queen as they dock for an afternoon visit. During autumn, tourists flock to Winona to drive along highway 61 (the road Bob Dylan wrote the song about) and take in the spectacular autumn colors that come from the trees having one last 'dress-up' fling before winter returns. "Wow… How amazing to live in the midst of this beauty."